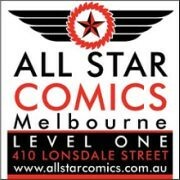 Cornerstore Comics has an advanced solicit up for this new addition to the DCD 1:6 Scale Line……. Now obviously many of us out there have been keen to see the 1:6 Scale line go in the direction we thought it was heading when it started – a 1:6 Scale JLA for starters and then moving on to the B list mainstream heroes. So first of all, from the perspective of someone who wants to see that continue – ARGH! 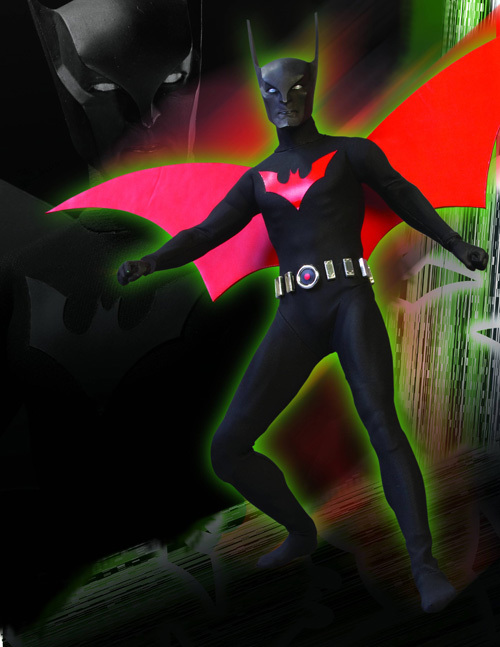 Having said that, I’m not as anti-Batman Beyond as some (I even bought and like his unmasked DCUC figure), and believe it or not, I’d actually consider adding this figure to my collection – if it didn’t look like someone’s Eighth Grade Home Economics Project. I mean, I remember back in Year 9 we had to make a marionette (it was quite fun actually) and I made one of Mon-El and my project looked better than this. Seriously, this pic looks like a turd’s turd. The head is wrong, the chest is wrong, it’s all just…….. wrong. I’ve got my fingers crossed that the actual solicit will be better and that he’ll come with an unmasked head etc., but still, it’s a disappointing use of the 1:6 slot for that month, another confusing message about the direction of the line and a 99% chance of a pass for me. Oh, and did I mention this pic looks like a turd’s turd? So do we get to see a picture of your Mon-El marionette then??!! That's interesting, because I absolutely loved this take on the face, moreso than the traditional design. Perhaps they tried to design it with the concept of how the character's costume would translate into real life or the big screen.